Home > International > The Audacity of Hope? Neil McLeod assesses the Obama Presidency and its legacy. It is predictable that, in the week of what looks like a giant leap backwards for mankind, with an articulate and intelligent black president being replaced by an apparent imbecile who panders to racists and bigots that Obama would be eulogised. In comparison to Trump, a psychotic, belligerent man-baby who’s a cross between Forrest Gump and Travis Bickle anyone would seem both principled and a genius. But the reality of eight years of Obama’s presidency, measured by his own initial promises, fall well short of justifying the hagiography commonly displayed in mainstream and social media. In 2009, President Obama stood before an adoring crowd in the centre of Prague, in the heart of Europe. He pledged himself to make “the world free from nuclear weapons” and was subsequently awarded the Nobel Peace Prize. Yet what followed was the building of more nuclear weapons, warheads, more nuclear delivery systems, and nuclear factories. Nuclear warhead spending alone rose higher under Obama than under any previous American president. The cost over thirty years is more than $1 trillion. President Obama did reduce the number of US soldiers fighting in Afghanistan and Iraq, but simultaneously expanded the air wars and the use of special operations forces around the globe. In 2016, US special operators could be found in 70% of the world’s nations, 138 countries, a mammoth jump of 130% since the days of the Bush administration. As the Guardian reported on 9th January 2017, in the last year alone the Obama administration dropped at least 26,171 bombs. This means that every day in 2016, the US military bombarded combatants and civilians overseas with 72 bombs; that’s three bombs every hour, 24 hours a day. As drone-warrior-in-chief, he spread the use of drones outside the existing battlefields of Afghanistan and Iraq, mainly to Pakistan and Yemen. In total Obama authorized over ten times more drone strikes than George W Bush in his eight year period in office. Obama, who previously railed with righteous ire against government secrecy and the NSA’s mass spying powers, instead entrenched the agency’s incredible surveillance apparatus when he came into office and then defended it in the face of the Snowden revelations. A concerted campaign of prosecuting whistleblowers ensued and the numbers imprisoned for this under Obama are off the scale in comparison to any previous administration and any other western state. Obama’s presidential campaign was built not simply on a promise of being different from Bush but on real and meaningful change in the political system. “If we do not change our politics, if we do not fundamentally change the way Washington works, then the problems we’ve been talking about for the last generation will be the same ones that haunt us for generations to come”, he told his adoring supporters in 2008. It was these words that saw millions believe that, after decades of stultifying neo-liberalism and worship of big business, they were going to see some good old-fashioned revolutionary change. “Yes we can” was the mantra, and a generation thought they’d found their Martin Luther King. Writer Larry Lessig observed in his book ‘Republic Lost’: ”the problem with this administration is not that it is too conservative. And certainly not that it is too liberal. The problem with this administration is that it is too conventional. It has left untouched the corruption that the president identified, which means that it has left as hopeless any real reform for the Left”. The broken promises and dashed hopes of the Obama administration directly contributed to the disenchantment with the ‘liberal elite’ that fuelled the rise of Trump. 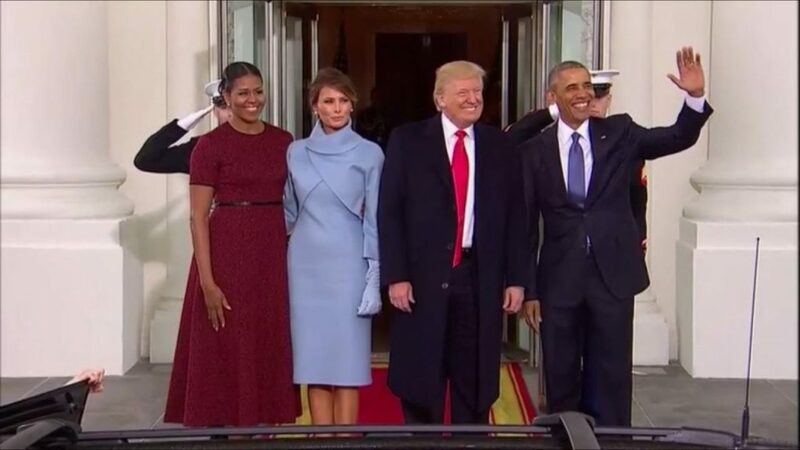 This isn’t to say that Obama caused the situation that the USA and indeed the world now finds itself in, as something that feels like a dystopian nightmare becomes reality with Trump’s inauguration. However, Obama did nothing to stem the flow of the dangerous current that swept swathes of voters in that direction. He acted like a lifeguard but ignored that fact that many of those on his watch were not waving, but drowning. Every modern American president has simply been a figurehead for USA PLC. The real power rests with Goldman Sachs, Lockheed Martin, Boeing and others. They call the shots ever more since the era of Reaganomics, but it’s not a new phenomenon. There was no previous golden age. If you watch the incredibly prescient 1948 film ‘State of the Union’ you will see Spencer Tracy as a businessman with no previous political experience who is persuaded to run for the Republican presidential nomination and lose his principles in his bid for power by offering influence to big business and the military and assuring them they’ll get their own way. In that film Tracy plays a man of principle who founders on the reality of the cynical system and in this regard perhaps there are similarities with Obama. By becoming content to act as a figurehead Obama was basically repackaging something ugly in a more attractive presentation, adding a respectable veneer and plausibility to something damaging. Like a packet of cigarettes sold as ‘relaxation sticks’ with the health warnings removed but all the cancerous chemicals still present. Blinding the masses to the fact he was still selling naked, or at least scantily clad US imperialism and militarism. If we can take any degree of positivity from the huge negative of the fact that Obama is now handed over a surveillance state and a war machine to a maniac, it is that perhaps the scales will fall from people’s eyes with Trump fronting this project in a more blatant, unpalatable manner that will lead to more dissent and questioning. The election of Obama papered over the cracks in a barely functioning democracy. It portrayed a unity and a diversity and inclusivity that didn’t exist. Racism, bigotry and inequality continue to be rife. Without the attractive mask of Obama and his family to cover it up, now it will have to be faced full on, and only by facing it can it be truly changed. So maybe the Trump presidency can see this all be fought and, eventually overcome. Or maybe that’s just the audacity of hope that Obama talked about so much. Perhaps hope was fairly audacious after all. Support Bella to continue publishing with a monthly donation by Direct debit. Go Cardless for £5 £10 or £20 a month. Donate with GoCardless HERE. When Barry O’Bama took office the democrats had a Supermajority. Control of both houses AND the Presidency. He could have enacted gun control, closed the Guantanamo Bay camp, prosecuted those responsible for torture. But he didn’t. THROUGH CHOICE! The claim that congress blocked the Vacillator in Chief is an outright lie. I was in Houston the night Obama got elected the first time. I was hopeful but, having seen Blair’s journey from beacon of hope after a Tory govt to messianic nutjob I was also fearful that he’d be another false dawn. Sadly, though way more palatable than Blair, he was closer to him than desired. He is to blame for leaving drones and NSA to Trump and sadly I disagree that Trump being in charge makes it more likely they’ll be opposed, rather, the excuse that Obama started it will be deployed with regular and positive effect..